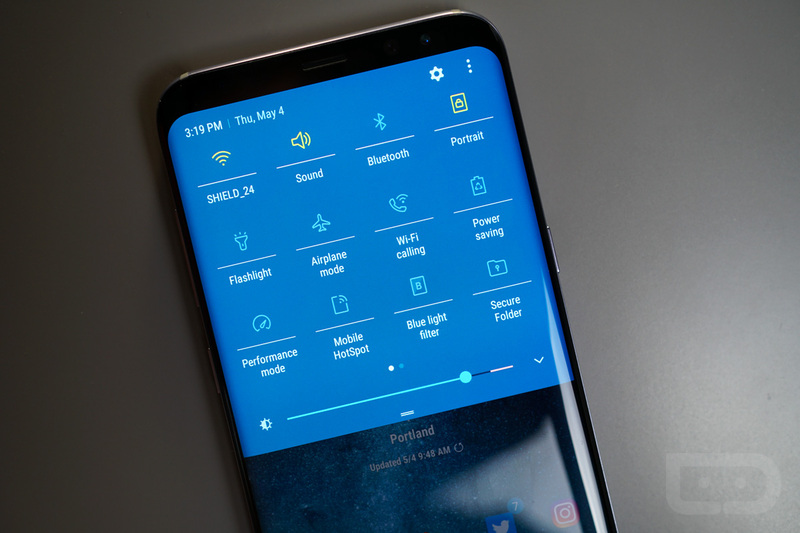 There is an extensive list of ways owners of the Galaxy S8 and Galaxy S8+ can customize the look of the software on the device. Sure, you can always use a 3rd-party launcher and “hot” icon pack we recommend, but that doesn’t do much for your phone’s Settings menu, notification pulldown and the look of select system applications. In the latest entry into our Galaxy S8 Guide, let’s go over the ways you can change up the look of your phone. 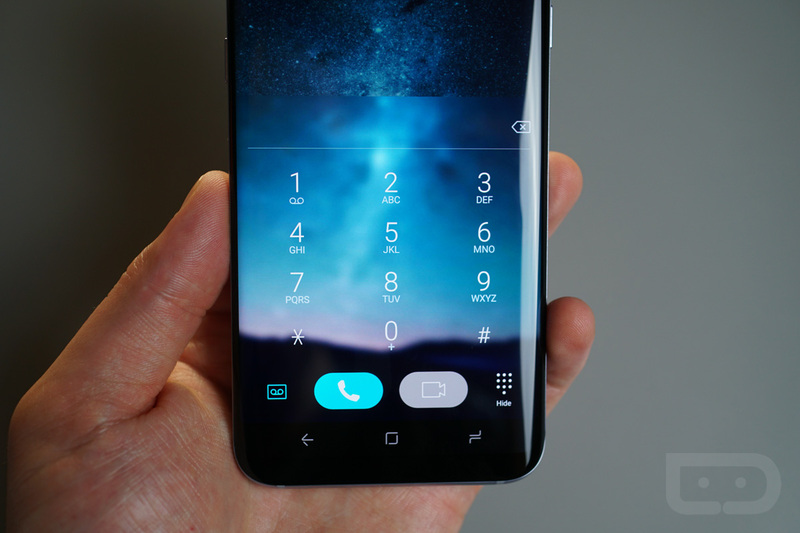 There are four categories built into the Galaxy S8 that can be easily switched up. 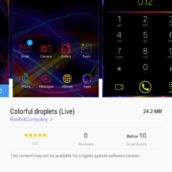 There are the icons the phone uses for apps, themes that dictate the overall look of the software on the phone, wallpapers that you see on the home screen and lock screen, and the theme that is set for your Always-On Display when it’s enabled. Thankfully, Samsung makes it incredibly easy to manage these categories all from within your Settings menu. Let’s go over each one individually and I’ll provide examples of what’s possible. 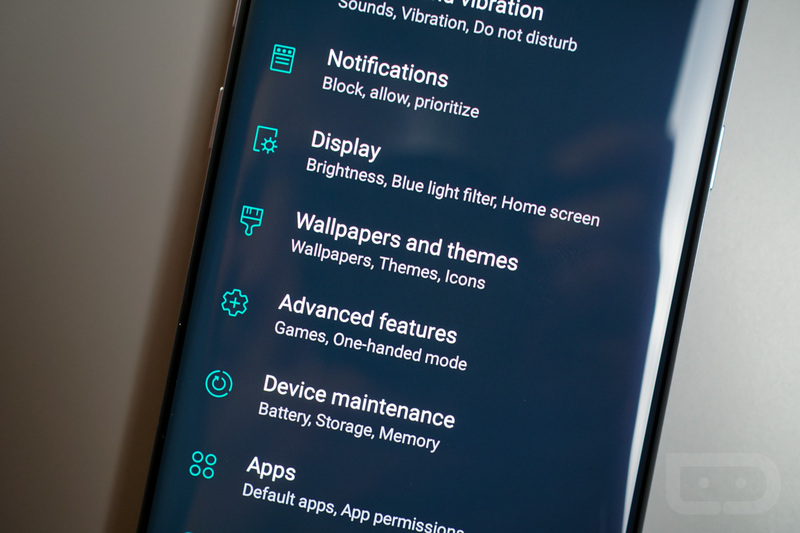 If you’d like to look over what I’m talking about as we go through this, on your Galaxy S8, head to the Settings, tap on “Wallpapers and themes.” You can also access this by long pressing your home screen and tapping the “Wallpapers and themes” option. Everything I’m about to discuss is there. Under the Icons section of this menu, you can find a library of different options available for using. 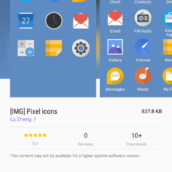 Provided Samsung’s launcher does not provide native support for icon packs downloaded from Google Play, you’ll need to familiarize yourself with the offerings here if you find yourself enjoying Samsung’s launcher. Icons are placed into various categories. 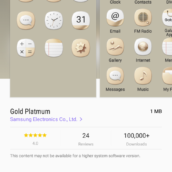 Samsung labels what is new, what’s deemed good enough to be an Editor’s Choice, and even “High Quality But FREE.” You can always find certain packs based on colors, such as Coral Blue, Gold and Ash Gray if there’s a particular style you’re shooting for. Believe it or not, you can even find entire packs based solely on cats. 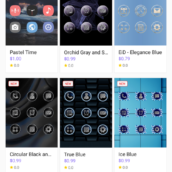 Now, icon packs can be free for downloading and applying or they can be priced anywhere from under $1 to under $2. I have yet to see any icon options be priced more than $2. 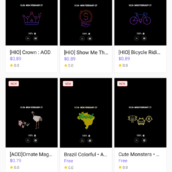 If you do want to purchase a pack, you’ll need to have a Samsung account with your credit/debit card added. 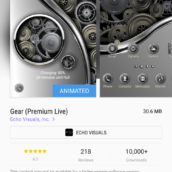 Regardless of whether you purchase or get it for free, simply download the icon pack, then hit the “Apply” button once the download is complete. At that point, your phone’s icons will be re-skinned to whatever you chose. 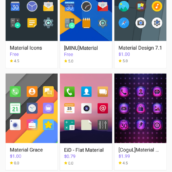 For the most part, these icon packs will skin Samsung’s own base applications, but won’t change the look of your 3rd-party apps. However, you will find that many if not all of the downloaded icon packs add a type of masking effect to help things look uniform. If you download a square icon pack, you can expect to find all of your icons inside of a square, just to help with the effect. While changing up your icons is a quick way of making things look different, customizing your theme is where things get much more interesting. As I said, custom themes is where things on the Galaxy S8 can get fun. 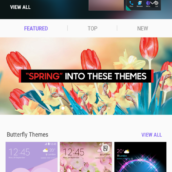 Inside the Samsung Themes menu, you will find a ton of different themes to choose from, just like with custom icons. There are themes based on colors, price, time of year, settings (landscapes, space, etc. ), as well as the “Most Popular” and “Top Grossing” themes. 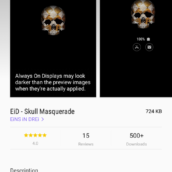 Keep in mind, themes that are downloaded from here come with custom icons as well as a wallpaper to help really set a tone throughout the phone. Now, you may already have an idea of what you’re looking for, but if you don’t, you can spend plenty of time searching through themes to find the right one. If you find one you enjoy, but aren’t quite sure you want to spend money on it yet, you can hit “Download Trial” which will allow access to the theme for a limited time. Of course, any theme that is free can simply be changed if you don’t care for it. For me personally, I use Material Dark. It offers that stock Android look that I crave, leaving behind many of the bright and flashy colors I dislike about Samsung’s UI. 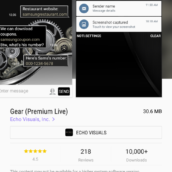 Whichever theme you choose, you’ll find a themed Settings menu, Dialer app, Messaging app, notification pulldown, plus other visual tweaks that come along with the theme. 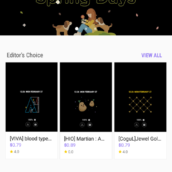 As for pricing, themes can be found for free or can carry a price of anywhere from $1 to over $3. It all depends on the theme, but again, you can always download a trial if you aren’t 100% sure about one in particular. If you’ve used an Android device or any smartphone for at least five minutes, you probably know what a wallpaper is. I’m not here to explain that. 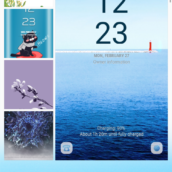 However, I am here to explain the options that Samsung includes for the Galaxy S8 and inside the Samsung Themes menu. 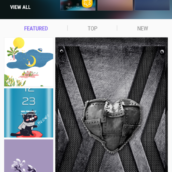 Under the Wallpapers section, you will find access to countless wallpapers hosted on Samsung’s servers. Some are free, some cost money. 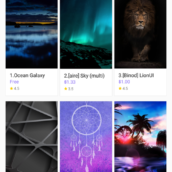 Do I find it silly that people are charging money for a wallpaper? Sure, but hey, it’s their right as creators to do so. Also, I have to note, you will be unable to take a screenshot of a wallpaper preview. 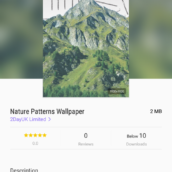 I thought I was being sneaky when attempting to do so, but no, Samsung disables the ability to screenshot the wallpapers that have a price or even free. Now, again, there are plenty of categories to search through. There are landscapes, textures, space shots, and everything in between. When previewing wallpapers, be sure to check the resolution. 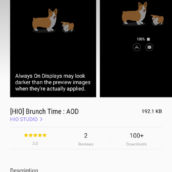 You won’t want a 1080p wallpaper on your QHD display (could end up being a blurry mess), so be sure to look for wallpapers carrying a 2560 x 2560 resolution or something similar to that. Once you download a wallpaper you like, simply hit “Apply” and you’re done. 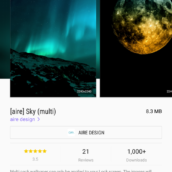 Before you go spending money on wallpapers, though, feel free to do a quick Google Image Search. You can find an endless amount of high quality wallpapers on the Internet. Having an Always-On Display is one of the highlights for owning a Galaxy S8, so why not deck it out with awesome images? 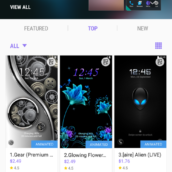 Under the “AODs” section of Samsung Themes, you will find another large offering of different Always-On Display themes from creators. You can find a donut AOD, arctic fox AOD, skull AOD or anything in between. 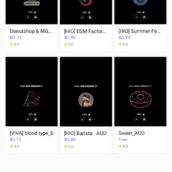 Again, you will find some that are free and some that are priced, but if you do happen across one you like, simply download it and hit “Apply.” Unfortunately, there does not appear to be a trial option for AODs, so be sure to look at all of the screenshots before you purchase. Once downloaded, inside of your standard Settings for Always-On Display, you may see a “Style” option. With this, you can choose whether to have a clock and notifications icons to go along with your AOD or not. The same can be done with all of the preexisting AOD options on the device. 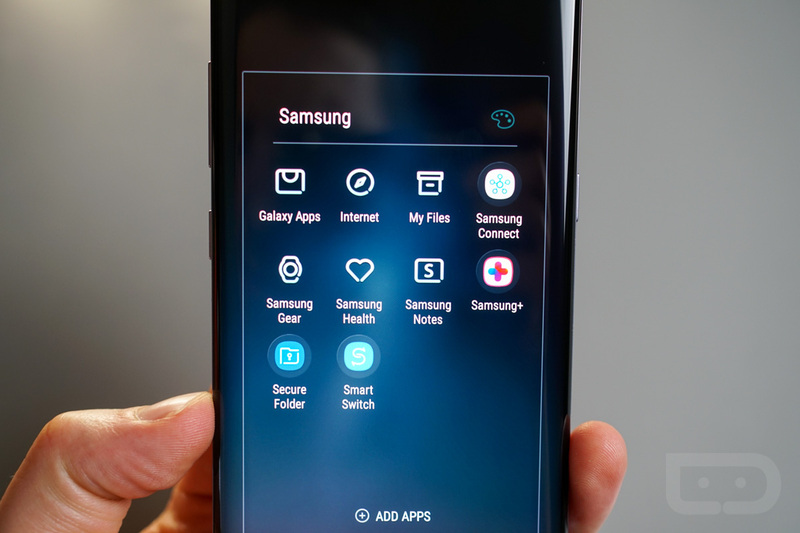 Do note, Samsung allows users to insert their own custom images via the Always-On Display settings. Be sure to check that out if you have not already. You can set a photo of your girlfriend, dog, or whatever else you want. There you have it, the many ways to quickly customize the look of your Galaxy S8 or Galaxy S8+. 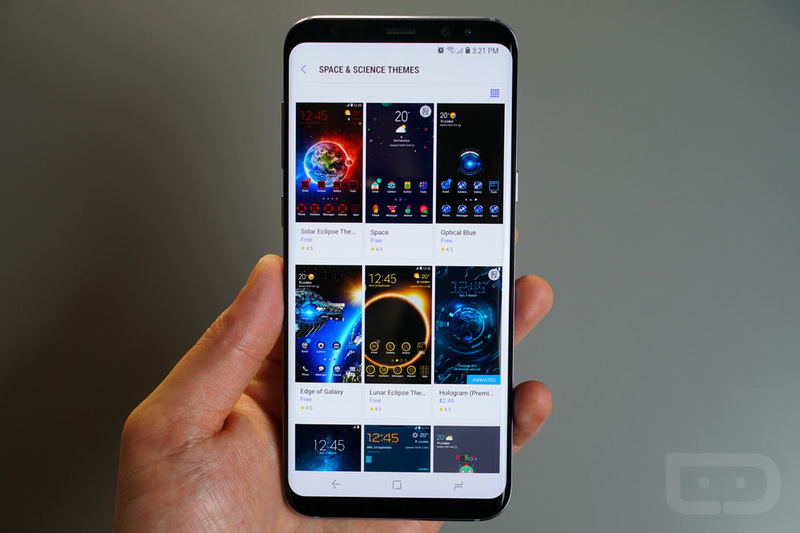 This piece is part of our Galaxy S8 Guide, an ongoing segment dedicated to getting the most out of your Samsung Galaxy S8.